Welcome to the Zoe Australasian Blog Hop. This is a circular hop. If you arrived from Denise’s blog you are in the right place. Simply read through this post and click on the link to the next blog at the end of it. Keep reading and ‘hopping’ until you find yourself back where you started from. We have 18 consultants participating in this hop so you are sure to be inspired. This page is based on the Parlor Trick layout in the Magic How To Book (9040). 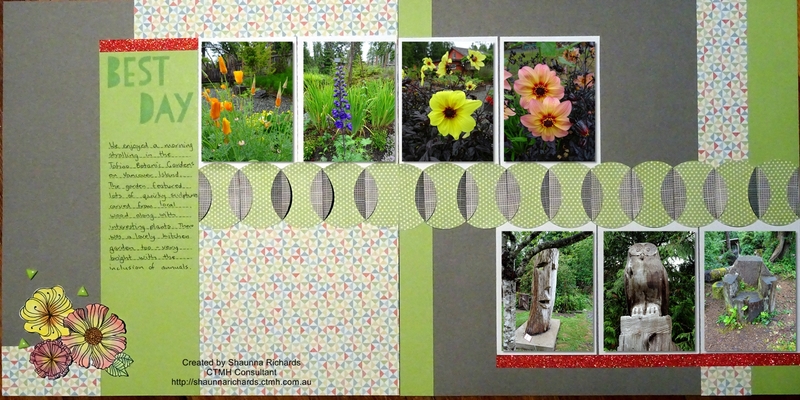 Don’t you love the way 7 photos fit and the page is not overcrowded? 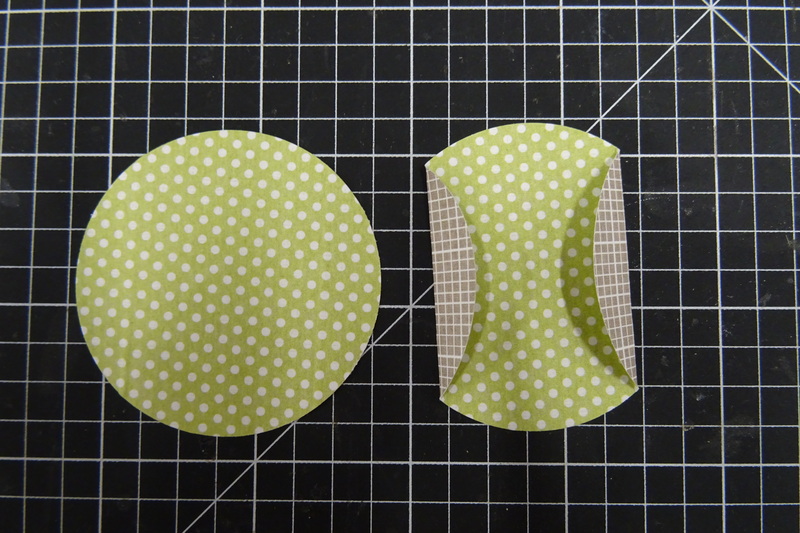 The centre panel was made using 2″ circles. 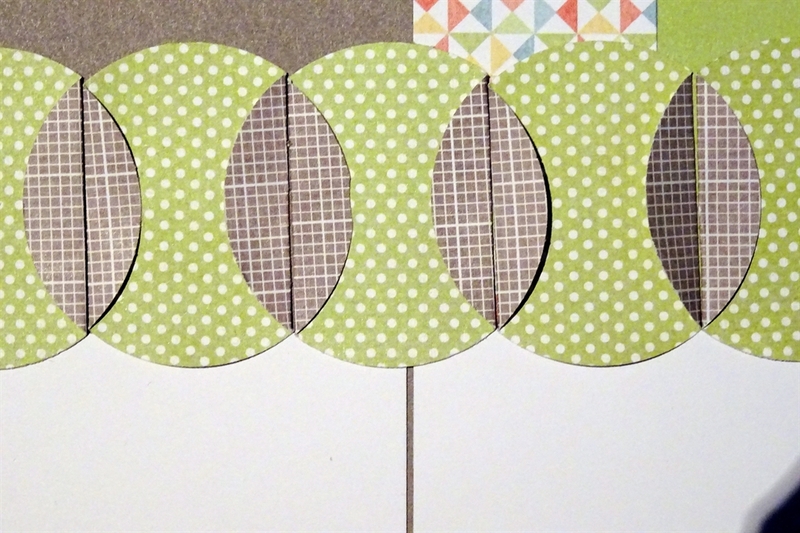 Place each circle on your score board and score at 3/8″ and 1 5/8″. It’s a fun way to see both sides of this lovely paper. 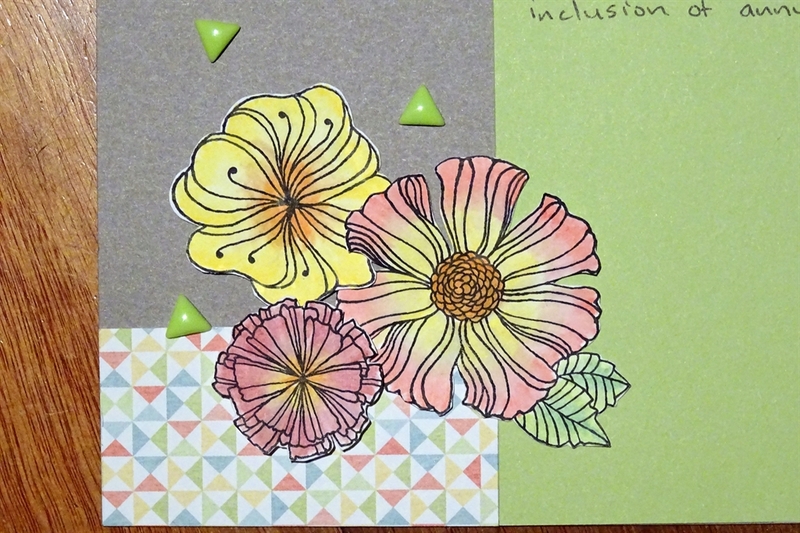 The page is finished off with some of my favourite flower stamps – Wavy Blooms (D1651) which were coloured with water colour pencils (3505) because I wanted soft colours to go with the Zoe papers. The NEW Coral Shimmer Trim (Z3088) and Green Enamel & Glitter Duos (Z3123) added the finishing touches. 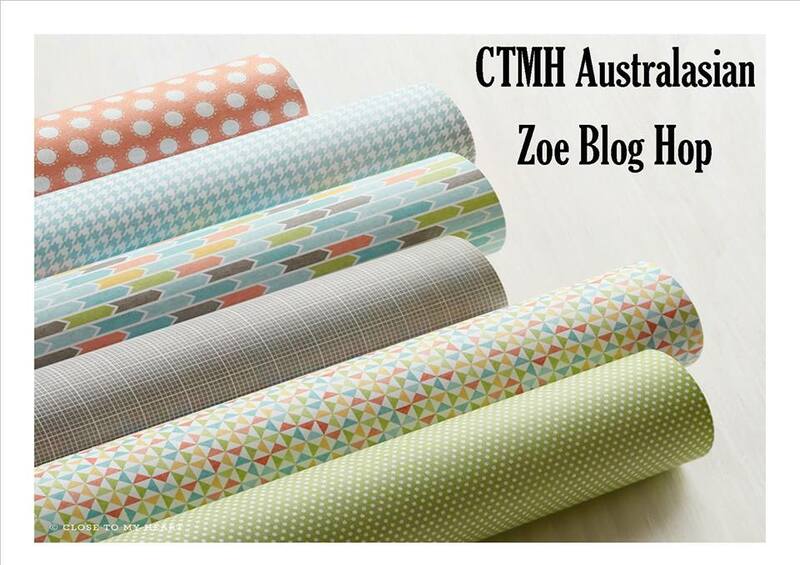 The Zoe collection is available from your CTMH consultant. Be sure to check the CTMH official Facebook Page & Instagram for some great ideas too. Now it’s time to click on the link to Doris’s Blog here to see what gorgeous idea she is sharing today.